Dr. Hribar graduated from Mount Saint Mary’s College and received his B.S. in 1972. He graduated from Columbia University School of Dentistry and Oral Surgery in 1976. He completed his general practice residency at Booth Memorial Hospital in 1977. He earned his Specialty Certificate in Prosthodontics at NYU in 1979. 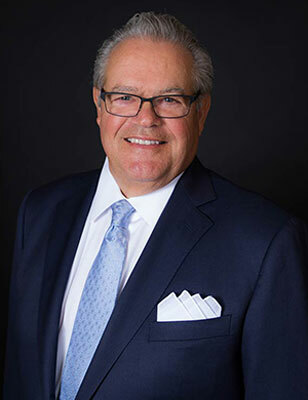 Dr. Hribar has been a Diplomate of the American Board of Prosthodontics since 1981. Dr. Hribar is a member of The American Dental Association, a Member and Fellow of The American College of Prosthodontics, a Member and Fellow of The Northeastern Gnathological Society, a Member and Fellow of The Greater New York Academy of Prosthodontics, and a Member of The Academy of Osseointegration. Dr. Hribar was formerly an Associate Clinical Professor in the Advanced Education in Prosthodontics at NYU School of Dentistry. He is a recipient of the Rowe-Wiberg Metal for Excellence in Prosthetic Dentistry, the American College of Dentists’ Award for Academic Excellence, theAward for Excellence in Operative Dentistry and an honorary dental society member of Omicron Kappa Upsilon. Dr. Hribar has lectured on Prosthodontics, Complete Dentures, Implant Dentistry, and Aesthetics.